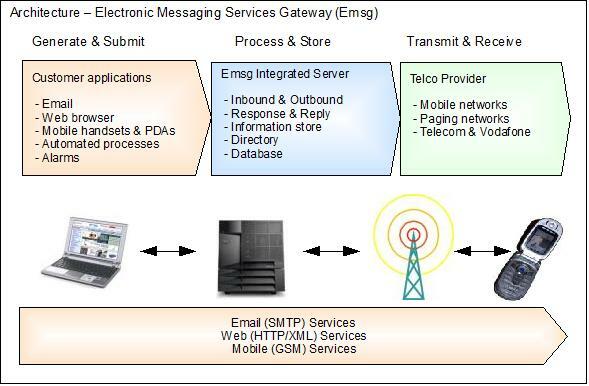 For high volume & availability requirements, implement direct access to messaging networks with Emsg Server. Install the Emsg for Intranets Edition software on your own Microsoft Server to provide an "in-house" messaging solution that works alongside your existing Email and Intranet applications sending & receiving text messages. 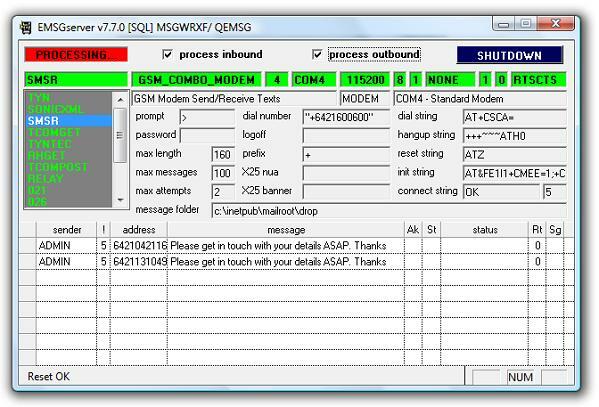 Choose a powerful Microsoft SQL Server database or Access Mdb, then seamlessly integrate messaging into your applications withconcurrent access to multiple messaging networks. One year subscription to software updates and telephone support.